We all have ways we organize our collections in our minds. This can sometimes affect the way we display our treasures as well. Being humans we seem to want to categorize things. Radios are often broken down into size categories. Functionality and country of origin are other considerations. Naturally enough, there are borderline cases, and differences of opinions. 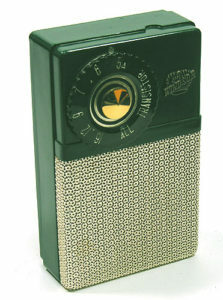 When is radio so big that it is no longer a shirt pocket radio and becomes a coat pocket radio? These are things I am sure marketers debated hotly in mid-century conference rooms. Here's how I categorize collectible vintage radios. What are your thoughts? In theory shirt pocket radios were meant to fit in men’s breast shirt pockets. 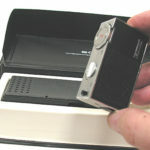 Sony’s first shirt pocket radio was so big that stories circulate about the firm making special shirts for their sales folks. The shirts were said to have be equipped with over-sized breast pockets to accommodate the hardware. 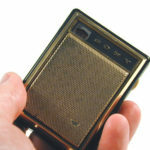 Coat pocket radios were potentially easier to build without the added expense of minimized components, and because they had bigger speakers often, but not always sounded better than shirt pocket sets. They typically fit overcoat pockets and many ladies purses. Many were multi-band AM/FM/SW, etc. I bet fewer ladies lugged these around than manufactures had hoped. Luggable sets were too big for anybody’s pockets, but had handles. You might take these camping or to the beach. Their size made it easier to add features, (multi-bands and so on), and they often sounded wonderful as well. That wooden Sony is bigger than a breadbox and weighs as much as a dog. Micros were at the other end if the spectrum. "How small can we make a radio? Let’s see." That seemed to be the challenge, and micro sets were born. 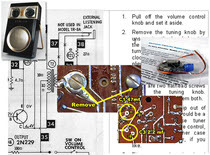 The small speakers and tiny components often, but not always made them unremarkable performers. 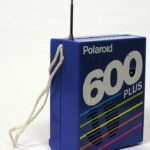 A little like the world’s smallest giant, or jumbo shrimp, there were radios that seemed too small to be called shirt pocket sets, but were too large to be micros. I call these near-micros. That's a Sony example on the left. Some of these radios are among my favorites. Radio makers tried to appeal to mom and dad, (and teens) with tabletop sets that doubled as portables. These were typically bigger than coat pocket sets, but smaller than luggables. The National Panasonic set here doubles as a jewelry or spare change box. If you were like me you started building radios before they were commercially available, nevermind affordable. Quite a bit of my paper route earnings were spent at Lafayette, Olson, Poly Packs and, of course The Shack. I made radios--and a radio studio with multiple turntables, microphones, a homebrew mixer board and an AM transmitter. Sadly, all of those projects are gone now. Once in a great while these homebrew accomplishments become available for sale. What did you build? Do you still have any of your early prizes? Back before car radios were "entertainment and navigation systems with touch screens used to control the vehicle's climate," you actually could buy a car without a pre-installed radio. We had a choice. Remember? 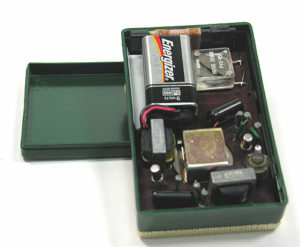 Some luggable sets could double as car radios, and even had brackets that held them under the dash, while connecting the car's battery and outside antenna. You needed a pretty capable, and usually expensive set for this to work well. 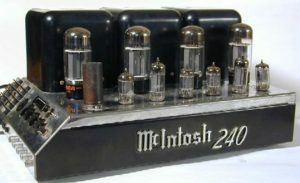 In the early days of transistor sets some used both tubes and transistors, usually in an effort to improve performance and cut costs. This was typically a design choice made by car radio manufacturers, but there were a few notable, and still very collectible pocket hybrid radios as well. This Emerson 838, for example. 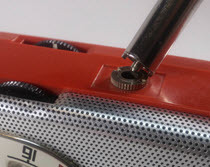 What's a site about childhood radios without mention of--well, childhood radios. I can remember all of mine, and in order. The old paper route money didn't go into a 401K sadly, but it did feed my addiction. 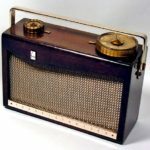 What was your first radio? 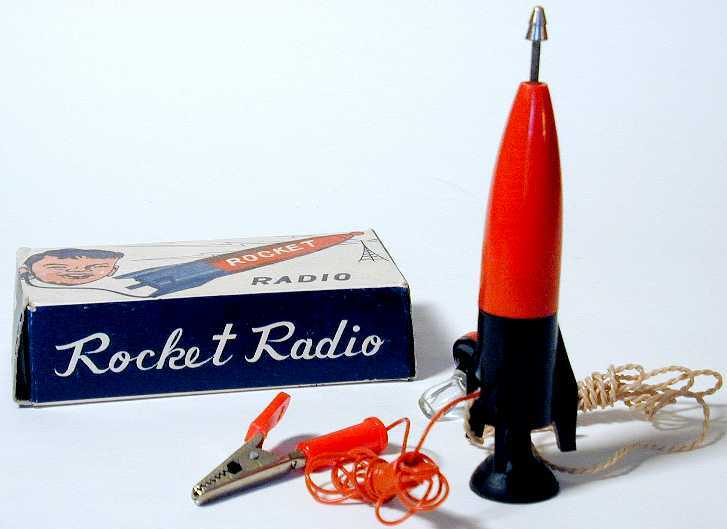 Mine was a Rocket Radio crystal set similar to this one. Then there were the "goofy sets. 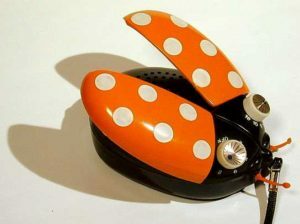 Toot-a-loops, radios that look like lady bugs. Anything and everything designed to get kids to plead "Maaaahaam! Daaaaad! Puleeze please please!" 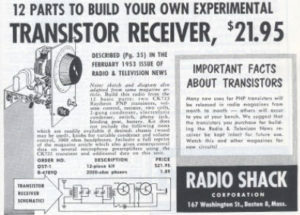 Mad Men, being the creative drunks that they were, supposed that they should get in on this "transistor thing." During Vodka-soaked lunches they convinced their clients to hand out branded stuff that looked like Coke coolers, Polaroid film packs, gas pumps--you name it. 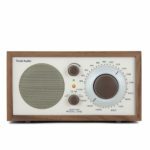 Some clever radio stations gave away radios that only received their frequency. No confusing tuning knob to get in the way of your listening to only Cousin Brucie. Not my favorite topic. 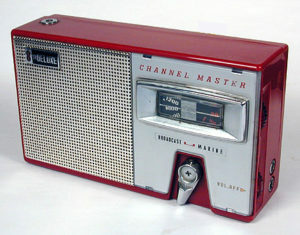 There are, floating around out there, contemporary radios passing themselves off as vintage sets. Unscrupulous sellers some times even pass them off as "vintage," or "rare," and "collectible." I know of at least one new collector who has fallen for this deception. On the other end of the spectrum, there are reputable manufacturers who put contemporary electronics in mid-century-styled cases, then advertise them as what they are. KLH was one such maker. Tivoli is another. Some of these are quite wonderful. They look great in contemporary settings. 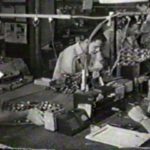 America beat the Japanese to the punch when commercial transistor sets became practical. Raytheon started it all at this fascinating TR-1 factory that cranked out a bunch of Christmas presents in 1954. Many of them are in use today. The search continues of the oldest known example. 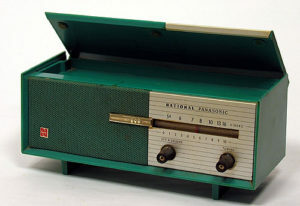 Other US radio companies included Sylvania, Philco, Emerson, Heath, Halicrafters, Magnavox, RCA, Motorola, Admiral, Webcor, and others, in no particular order. Who have I forgotten? Oh. Zenith. The Japanese got darn good at radio making, darn fast. National Panasonic, Sony, Standard--the list is as long as your arm and beyond. It got so bad that the US put hefty tariffs on any imported set using more than two transistors. 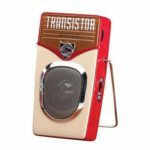 The theory was that two-transistor radios would be poor performers, and expensive compared to the Admiral and Zenith sets mom and dad made money assembling. This resulted in--well, in affordable two-transistor sets that looked good, did the job, and sold for very little money. Some collectors specialize in these "Boy's Radios. There are quite a few still around, and many of them play admirably. Long before boom boxes, radio makers offered multi-function devices. Radio/TV combos. Record lwith radios. 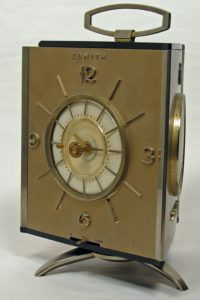 Wall clock radios. Travel clock radios. "It's not just a radio, dear. It's artwork." To the chagrin of audiophiles everywhere, solid state devices made their way into HiFi, and eventually stereo audio gear. "Too harsh," they complained. "Not warm." "Antiseptic." But the world continued to spin, and now you need to work hard to find, maintain and use tube audio gear. I will admit that I do prefer the warm "tube gear sound," but find it a pain to maintain and use. And the truth is, due to the passage of time my ears probably notice less difference anyway. My go-to vintage audio gear does not glow. How about you?